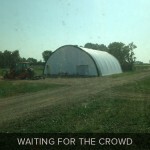 Will a FastCover building work for Equipment Storage? 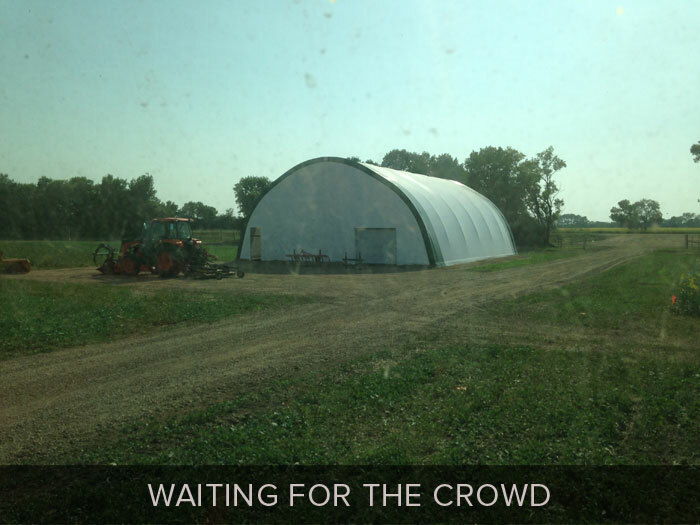 Brightly lit wide open spaces make for an outstanding choice for a farm equipment storage building. 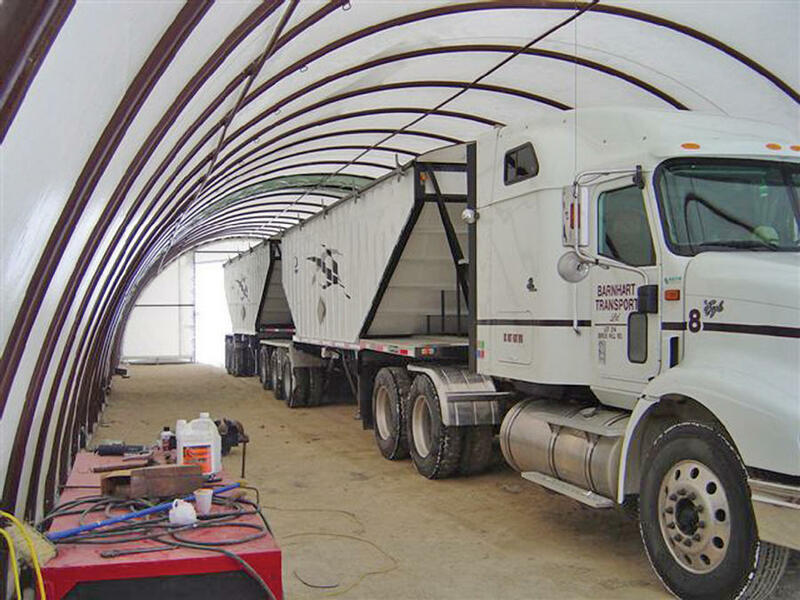 Rapid installation means you can get your equipment undercover quickly and combined with flexible foundation options mean you can relocate your building to anywhere you need it. 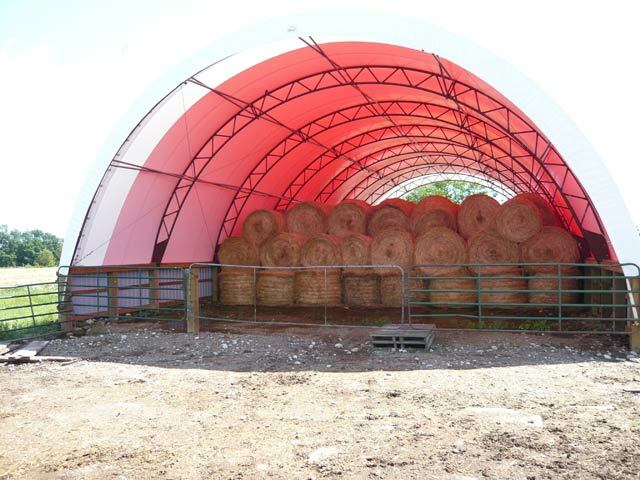 FastCover buildings do not require any interior support columns or additional truss supports that would minimize movement or restrict height clearances. 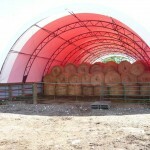 The building styles gain height clearance quickly allowing you to maximize the storage space footprint. 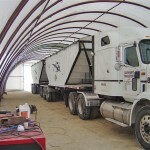 The high center clearance means equipment such as combines and sprayers can be stored or maintained under cover. 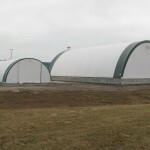 Our building designs can be manufactured and installed to any length required so your equipment storage building can be a multi-purpose building used for equipment storage and maintenance at one end and crop or hay storage at the other end. The fabric covers transmit a tremendous amount of light during daylight hours, virtually eliminating the need for interior lights during the daytime. At night, the bright white underside of the covers help to reflect and disperse the light to all corners of the building, improving visibility and working conditions such as during equipment maintenance. Depending on your building size and building style, foundation options can include mounting to a concrete slab, concrete blocks, ground screw anchors, post mount, or wall mount. 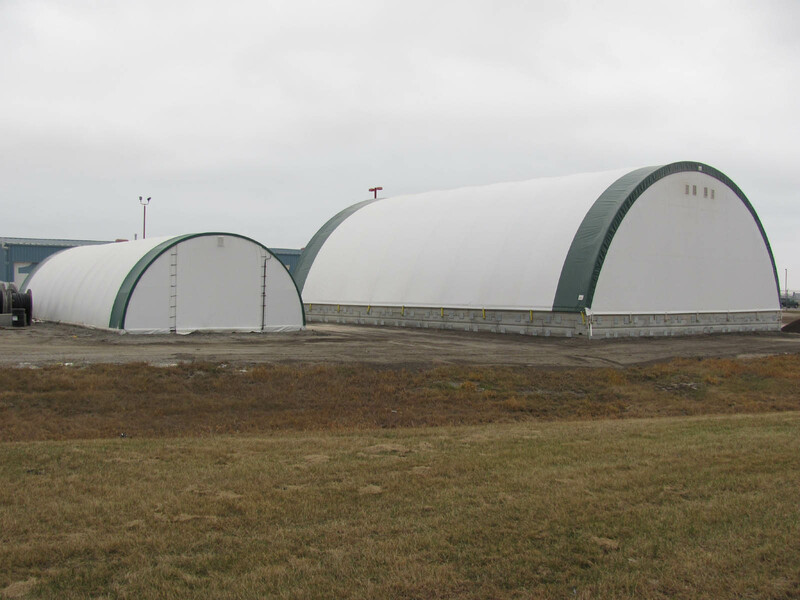 When temporary foundation options, such as concrete blocks or ground screw anchors are used, your entire building can be disassembled and re-assembled at a new location. 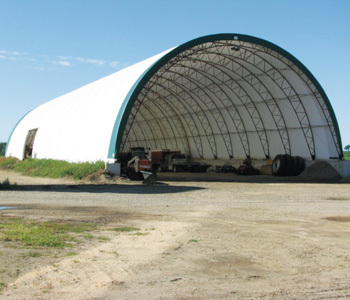 FastCover building trusses are post-welding finished in our own powder coat paint line for long lasting corrosion resistance. 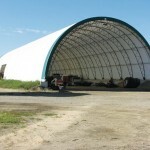 The fabric covers will not rust, so the buildings are well suited for many environments including hot and humid climates where a building with other construction materials might quickly rust.